If you have an event coming up sometime soon, here are two reasons why you should consider hiring me to do the catering for you. Did you know that you can hire a personal chef to cater your special event That’s right, not only can I make delicious, nutritious dinners, I can cater your New Jersey event. 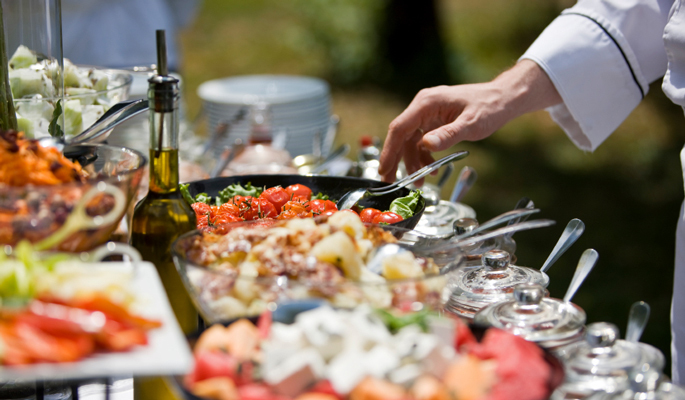 Why should you choose a personal chef for your catering needs? One of my goals is to help my clients achieve their dietary and nutritional needs. I make sure the meals I provide for you are within whatever guidelines you have – and I will make sure those needs are met during your catering event, too. Do you know what drives me crazy about certain catered events? The menu is so boring. It seems to be the same menu at every single event. I will work with you to create a menu that appeals to your palate. Your guests will be pleasantly surprised to finally attend an event where the menu is fresh, unique, and oh so tasty. Whether you need a personal chef for your everyday needs or a caterer for a special event, I can help. Food is my passion and I can provide delicious daily meals, private dinners, or cater your New Jersey event.